This article will speak about the best Mirror App for iPhone or iPad that an individual can have for their iOS device. The 6 best mirror Apps for iPhone and iPad will be spoken about first and then description about the AirPlay app will be provided. Reflector is a mirror app for iPhone having the wireless mirroring feature along with a streaming receiver. It works best with AirPlay, Air Parrot and Google Cast. The user wouldn’t need to install any further additions to their iOS device. This app can screen the contents of the iPhone to the iPad perfectly. Videos can easily be shared from the iPhone device of the user to another iPhone device. If the user has AirParrot 2 in their iOS device, then the Reflector app can screen contents of the device on to the home theatre on the big screen. When it comes to multiple connected devices, Reflector ensures that there is easy and convenient management for all the connected devices. Live Broadcasting can be done through Reflector. When it comes to security options, reflector provides codes before any active connection with an additional device takes place. A user is able to record their screens up to 60 fps. Once Reflector has been installed in the device, the user only needs to connect their device to Reflector to begin mirroring. With the availability of security options, any unwanted connections can be easily prevented. Compared to another mirroring app for iPhone, Reflector can be a bit more expensive. You can download Reflector 2 for Mac, iOS, Android or Windows from this page here. Mirroring360, a mirror app for iPhone allows the user wirelessly to share as well as record the iPhone and iPad screens without using any additional cable or hardware. The user can conveniently share their work and ideas along with any of their latest apps through Mirroring360. Presentations can easily be shared through the screen of the device on a computer or projector wirelessly through the mirroring app for iPhone, Mirroring360. For Education, content can easily be recorded and shared from teachers and students right from the seats. Live content can be easily recorded from the iOS device to the computer. Through Mirroring360, the iPhone device can be mirrored to the computer for any game recording. At the time of conferences in workplaces or lectures in schools, this app is highly beneficial to share information easily with others. Mirroring360 does not have similar features as the other mirror app for iPhone Reflector. You can download Mirroring360 app for PC or Mobile devices from the official website. 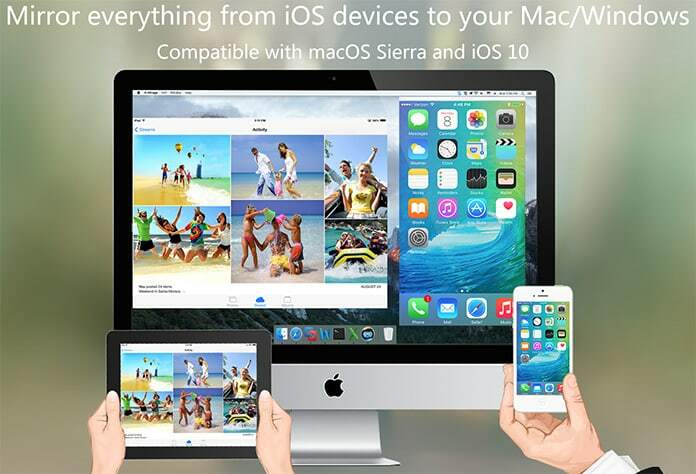 AirServer, the iPhone mirror app is regarded as one of the most advanced software which is used for screen mirroring. 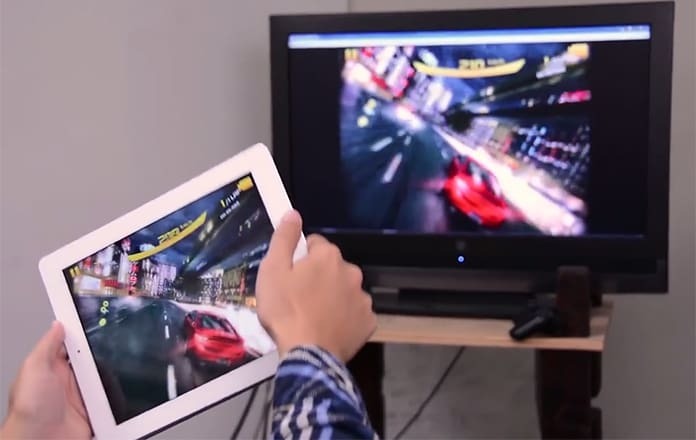 The user can receive any streams via AirPlay, Google Cast, Miracast or xBox streams. AirServer enables the user to collaborate with different apps across a number of platforms. iPhone 6 provides the user with a 1080*1920 picture resolution. AirServer also provides the user with a feature for recording. It also provides a benefit on live streaming of any videos to YouTube. It provides the user with the world’s first “bring your own device” for different collaborations. It also provides a highly improved picture quality. Recording done is of ultra high quality. AirServer is also supported with the YouTube App. Download AirServer app from this website here. 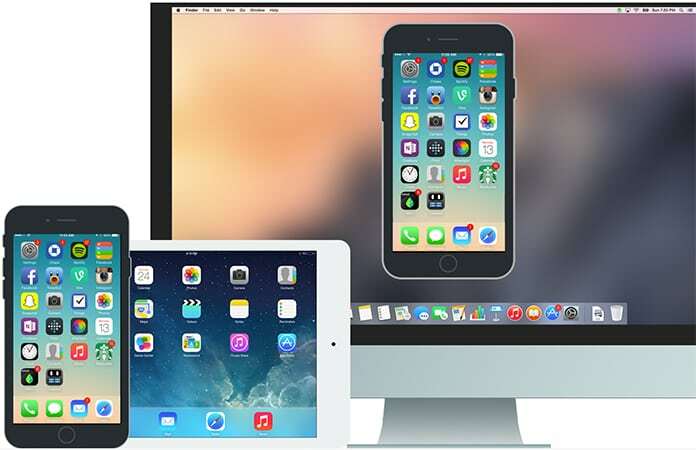 X-Mirage is considered as an excellent iPhone mirror app where a user can stream or mirror any contents from their iPhone or iPad to different screens such as Mac, PC’s or Windows. 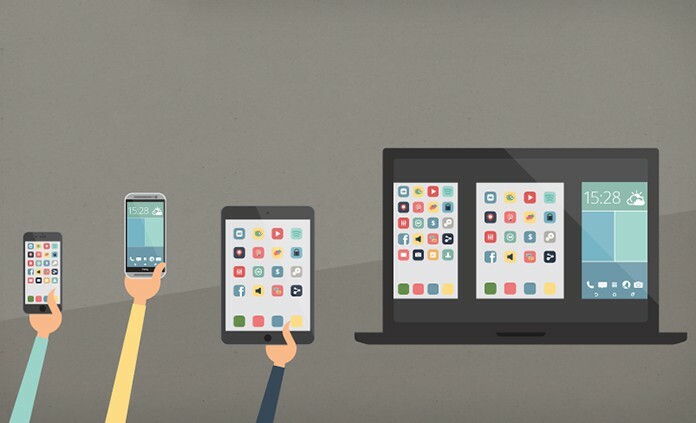 All different contents such as apps, pictures, presentations, different websites, videos or games can be mirrored perfectly to different devices. The screen can be mirrored wirelessly. 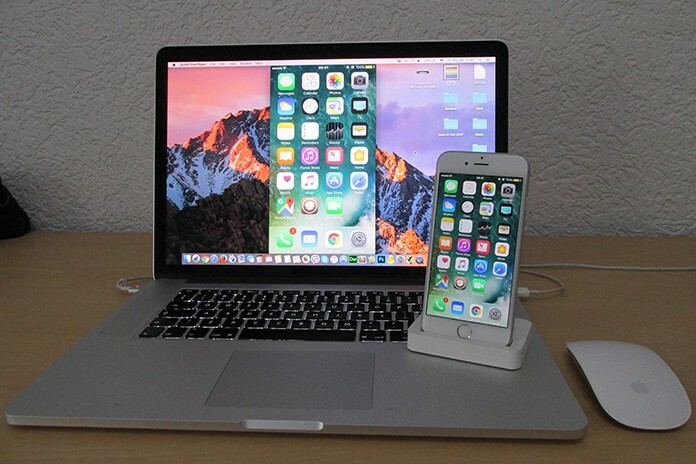 Multiple iOS devices can be connected together and streamed on the desired screen of the user. X-Mirage enhances and improves the quality of the screened content. Recording of the screen along with any additional audio device through an iOS device is possible just by one single click by the user. X-Mirage can receive contents from AirPlay with full and high HD resolution of 1080p. Through this app, the user can have a password protection for AirPlay. This will help the user from any unauthorized user who wants to use this software. For the user to enjoy all the benefits of the mirroring app X-Mirage, they have to purchase the software. You can download X-Mirage app for PC, Mac, iPhone or iPad from this page. 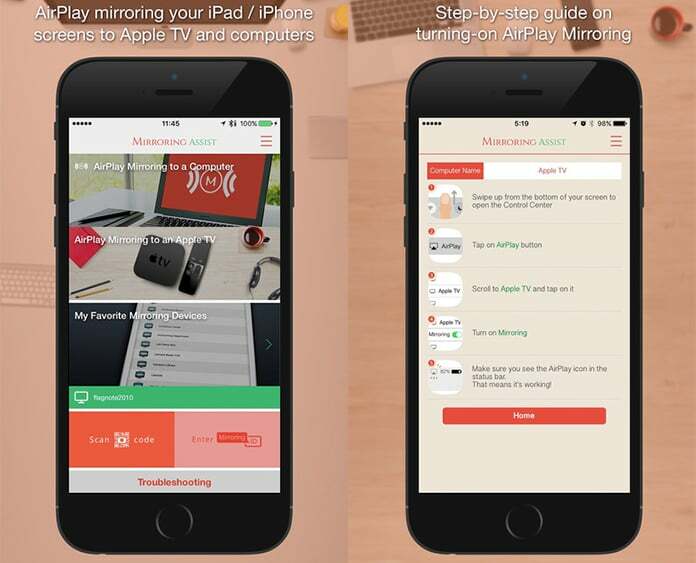 Mirroring Assist, a mirroring app for iPhone is software which can enable a user for sharing their iOS to any Android Device, Fire TV and any tablet. This can be done via the AirPlay app. This app is beneficial for the user if they have to display any content from their iPhone or iPad as it can be done with great ease. Such software can help a user in teaching, for playing games, presenting presentations, watching movies and many more things. This app can be used for getting music from iTunes on to the Android devices. Videos can also be taken from an iPhone to an iPad. This app is perfect for a user if they want to demonstrate to their friends or their family how an iOS app will work. Mirroring Assist is available for other platforms such as Mac and Widows also. This app can also be used by the use if they wish to showcase any iOS game on an Android device. This app can only support an iOS version 6 or a higher version. While using this app, the user may face through problems such as crash failures or slow functioning. Download the app directly from App Store for your iOS device using this link. The latest iTools version does support to mirror your iPhone/iPad on Windows PC and you can even record your iPhone/iPad screen on computer with it. This is a quite easy to use tool. It does not require any technical skills. You can use it for business presentation, education, game recording, etc. The interface is very user friendly and it’s very easy to use. 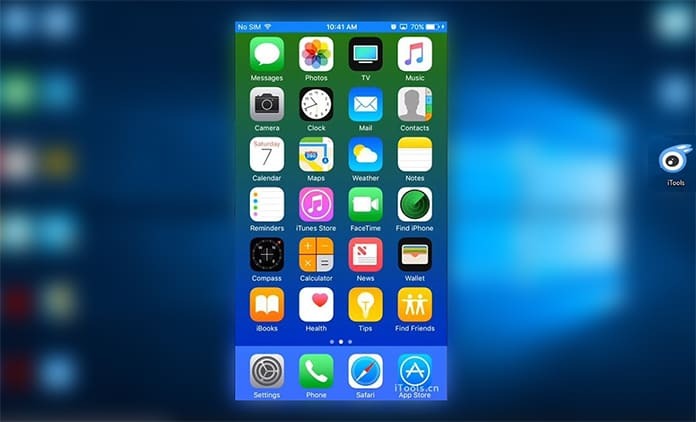 It is a convenient way for the user to mirror the screen of their iOS device to other devices. There is an option of recording with voice over. As there are similar apps available having such a feature the cost and the benefits will differ from one another. You can go to our dedicated page to download iTools latest version for your Mac or Windows 10/8/7 PC. So, here are the top 6 Mirror Apps which are best suited for iPhone and iPad.